MDT ordered their first articulated buses from American Ikarus in 1994 with an order of 40, numbered 4001-4040. These 60' coaches seated 63 passengers. They were powered by the Cummins M11 engine coupled to a ZF transmission. Bus 4011 was the exception, it had a Detroit Diesel Series 50 instead. The "artics" were plagued with problems and unreliability despite heavy modifications by the MDT maintenance department. The 4000s were retired in late 2005/early 2006. 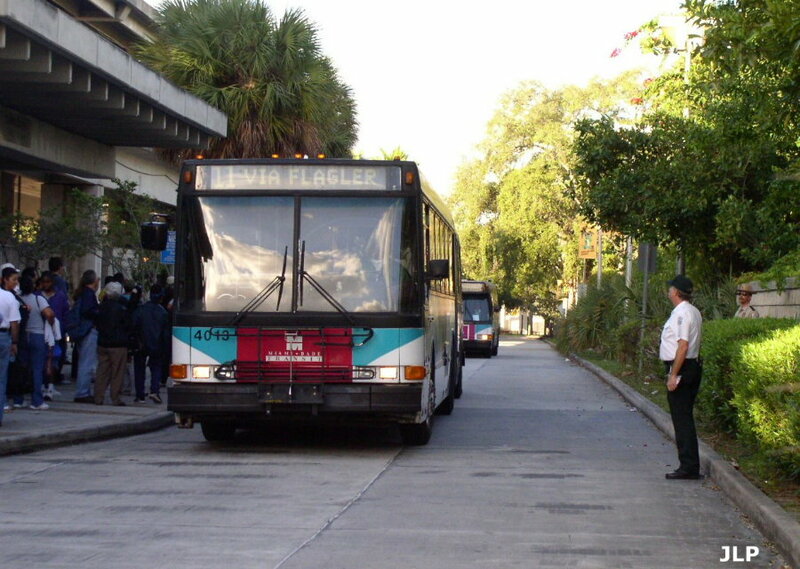 Buses 4001-4025 were assigned to Coral Way Division for their entire service span for use on the 11, 38, and at one time 65. 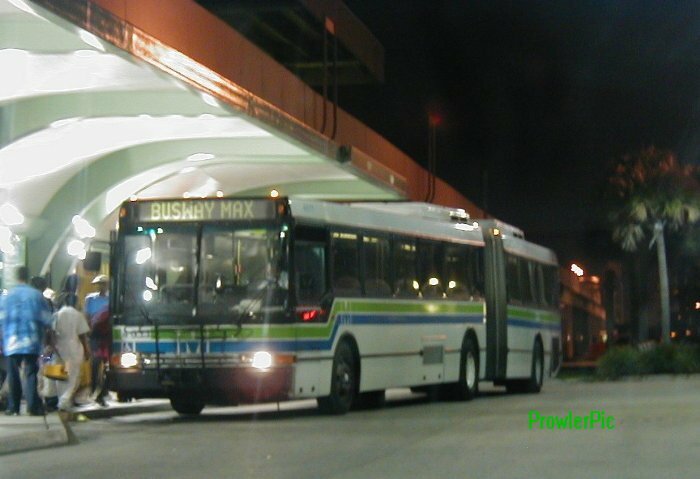 Buses 4026-4040 were assigned to Central for use on the L and S.
Bus 4013 on the 11 at Culmer Station . All downtown routes were detoured there due to the FTAA Summit. Series 50 powered bus 4011 loading up at DLS on the last southbound departure of Route 38. The last of the series, bus 4040 sporting new paint at Central. Retired 4000s at Central awaiting disposal.